What is it that has made Ned Kelly into Australias immortal outlaw? Who is the man behind the enigma of the archaic and yet strangely modern suit of armour, and why does he continue to have such an impact as a rebel figure in popular culture both inside and outside Australia? 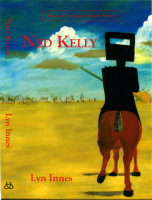 Using the evidence of contemporary sources, as well as many subsequent extracts from letters, books, plays, films and paintings about Ned Kelly, Lyn Innes explores the themes surrounding the personality of a man whose racial and historical inheritance was violently linked to an unchanging and static Australian landscape. Each historical section is introduced with an essay by Professor Innes which explains the political and cultural context of the time and illustrates how attitudes towards this legendary figure have developed throughout the nineteenth and twentieth centuries.